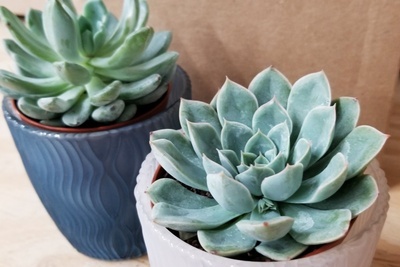 Enter your email address below to receive a notification when Succulents Monthly starts accepting new sign-ups! 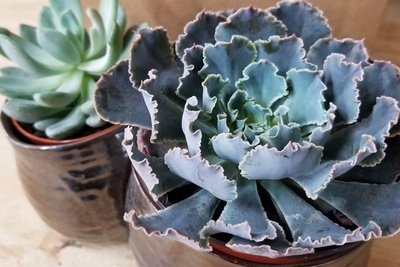 Enter your email address below to receive a notification when Succulents Monthly is accepting new sign-ups again. 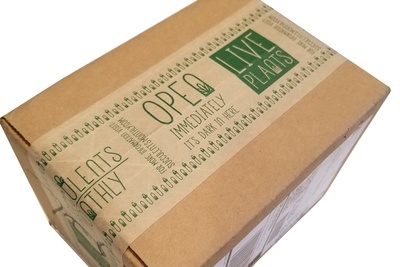 Initial boxes are shipped as quickly as possible. Your recurring order will be processed on the 4th. Boxes are shipped around the 25th of the month. Holiday shipping schedules will be posted as applicable. NOTE: Due to state agricultural restrictions, we are NOT able to ship to Arizona, Hawaii, Alaska, or Puerto Rico. Plants were healthy and beautiful. I would definitely order again. 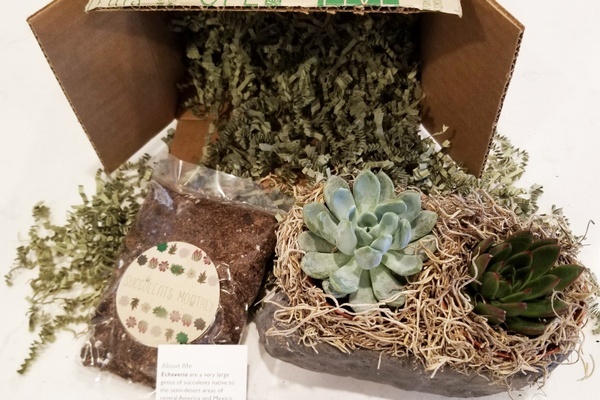 I loved my box except for the fact that the plant was crammed into the box. Usually getting a larger plant is good but a lot of the leaves and buds were broken off because of this. Still enjoyed it. I loved my first box SO much!!! I am curious if I’m supposed to remove all the brown stringy things and also wonder how to water the one that covers all of its vase (I’m afraid I’ll rip off a piece). Even with my questions, each is doing great a couple weeks in - better looking now actually even! Any tips for a real plant klutz is appreciated and I like how each comes with a care tag. Thanks! Looking forward to box 2! 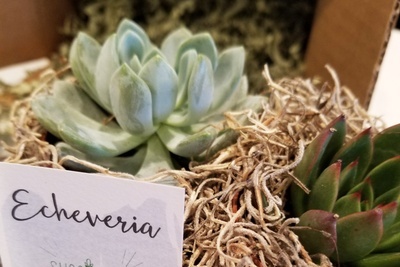 I love the succulent plants and the idea of receiving them in the mail with an explanation of the plant is so nice. I had recently received a package that was roughed up during transit. I contacted the seller and they were so sorry to hear about that they happily resent me that month as plants. Excellent customer service. I couldn’t be more happy with a company that took such great care of me. Thank you. I received three months of the premium box and I love my succulents! So far they are alive and well. The care directions are easy to follow. Such beautiful plants. Wrapped with love. I got 2 nice size plants in beautiful pota. I can't wait to see what I get next month. I had a few shipping incidents with past shipments of damaged succulents. I posted a review and they contacted me to correct the problems. Shippers need to be held more accountable and because of their customer service, I'm revising my review. Thanks for your review! We wish your experience had been more positive, and we’re more than happy to replace any plants that don’t arrive looking happy and healthy. We’ll reach out shortly via email to help further. Happy Planting! 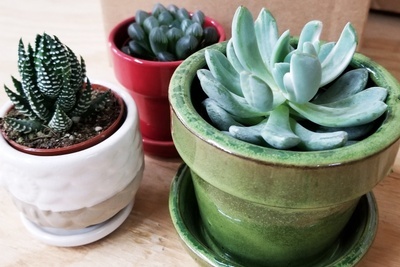 It's the perfect size and comes in a really cute planter. Definitely will be ordering again! !